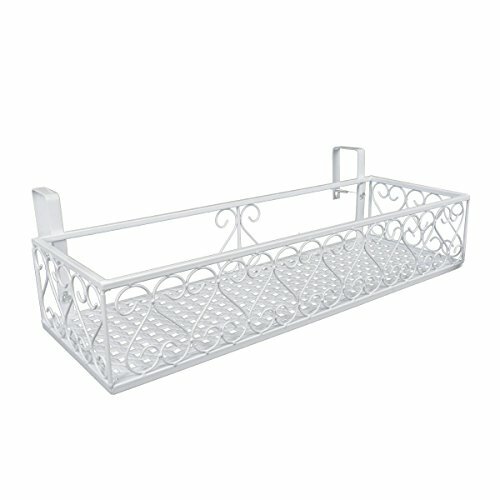 This flower box holder features durable construction and great for space-saving. Effortlessly add a splash of springtime color to your home with this flower box holder. This flower box holder will nicely complement any outdoor decor. Position the flower box holder use on deck and porch railings, then have fun adding flower boxes, filling with soil, and getting creative with arrangements.